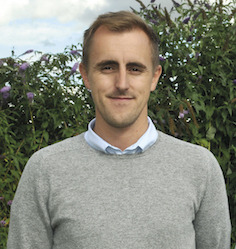 Garden tools specialists Darlac has appointed Chris Owen as business development manager. He was previously a territory manager for seed company Mr Fothergill’s which recently acquired Darlac. In addition to all existing Darlac accounts Mr Owen’s responsibilities will include spearheading new business opportunities with garden centres. He will personally present Darlac’s extensive collection of tools and equipment to retailers, ensuring that this quality brand is at the forefront of buyers minds as they prepare to stock up for next season and look after a new sales agency going forward. “I am really pleased to have been given the opportunity to drive this well established and extremely popular brand forward,” said Mr Owen. “It’s exciting times for Darlac as a brand in its own right and as part of the wider Mr Fothergill’s family. I truly believe it has the potential to do extremely well and I will do everything in my power to make its success even greater”. In addition, Darlac has appointed Denholm Agencies, the horticultural organisation which operates sales teams’ right across the UK. Denholm will represent the Darlac brand in Scotland, Ireland and the North of England. This will ensure a much wider offering of the brand and give Darlac complete national coverage for the first time in its long history.